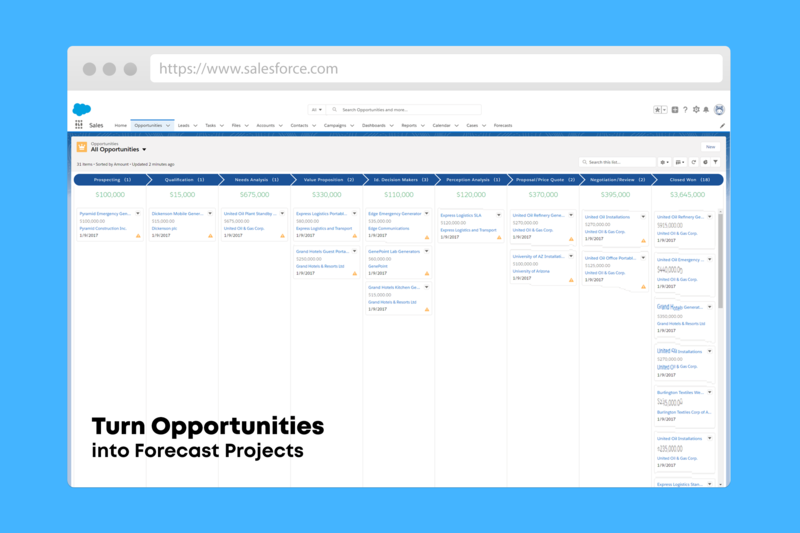 Connect Salesforce with Forecast to turn your lead opportunities into projects. Once synced, in Forecast, you will find your projects in the planning stage of your project list. Manage your pipeline with planning projects and be able to stay on top of your future work. All your opportunity prospects from Salesforce will be directly imported into Forecast as the client of the project. Check out Salesforce AppExchange for further information.